The Advance Wars series started on Game Boy Advance in 2001 and pleased fans of strategy games, as well as more casual players, with a rather accessible tactical game where players would control various infantry and vehicles in order to defeat hostile armies. Intelligent Systems, the studio behind this series, is now fully absorbed by the growing success of the Fire Emblem series and Advance Wars is currently in a frozen state. 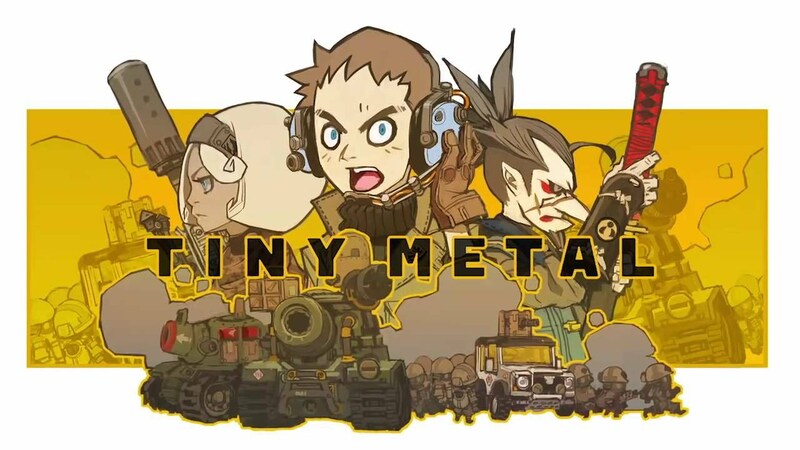 But with Tiny Metal, a project run by indie developer Area 35, the genre may be revived again as it presents rather similar gameplay. Does the game live up to our expectations? The story follows the adventures of Artemisian Lieutenant Nathan Gries, who fights the army of the Nation of Zipang. Outraged by accusations of having planned an attack on Artemisia, the nation of Zipang wants to defend its honor… by invading the country. This strange diplomatic approach will lead you to fight the enemy on various battlefields. 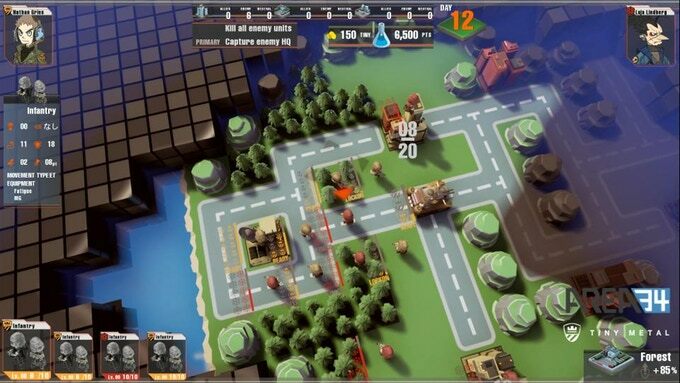 You will control different units, including soldiers, scouts, and various tanks. Soldiers can capture buildings and hide in forests, while tanks are your main source of firepower. Scouts are useful to explore the map and lift the fog of war surrounding your environment. 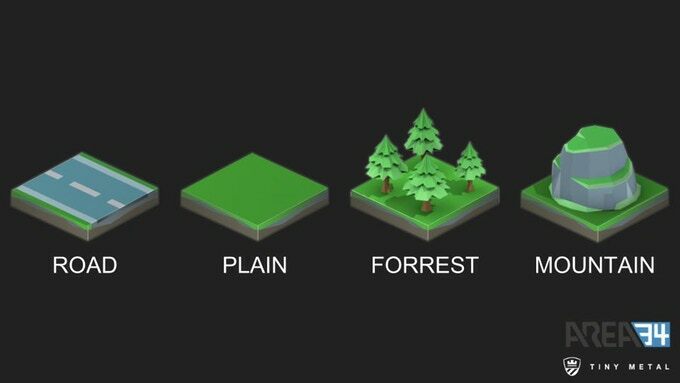 Areas will impact your strategy and provide different advantages. The field has a tactical importance and some areas can provide important bonuses to evade attack. Each time you launch an attack on a unit, it counterattacks. It is important to note that if two units of equal force fight, the one that attacks first always has an advantage, which encourages offensive tactics. Capturing buildings is important to allow you to earn money after the end of each turn, and to produce more units. Being able to produce units makes the game more forgiving and less difficult than series like Fire Emblem. Capturing a building is vital to secure resources and build units. One important command is the lock on/focus fire order. By ordering units to lock onto an enemy you can delay the time of your attack and allow several units to attack at the same time. This means that you can have two squads of tanks, for example, attack the same enemy unit. This allows you to destroy the enemy faster and to reduce the risks of facing a counterattack. Units that destroy enemies level up and become stronger, and using the lock on/focus fire tactic will be very useful to gain experience and power. The fights are sometimes interrupted by dialogue between protagonists, whose artistic design, as well as personalities, are typical of anime. The story appears to be rather lighthearted and you can easily fast forward discussions if they annoy you. As far as the music is concerned, there seems to be a single theme that plays during battles, which is rather generic but not too annoying. The field is partly covered by a fog of war that can hide enemies. From a technical point of view, the game has a few issues that will hopefully be fixed for the release. The sound is sometimes cut after restarting a mission, some dialogue lines are blank, and you sometimes unlock medals for missions you haven’t started yet. A bug prevented me from playing more than five maps of the game, but what I experienced was interesting from a gameplay point of view, despite a lack of variety in units. 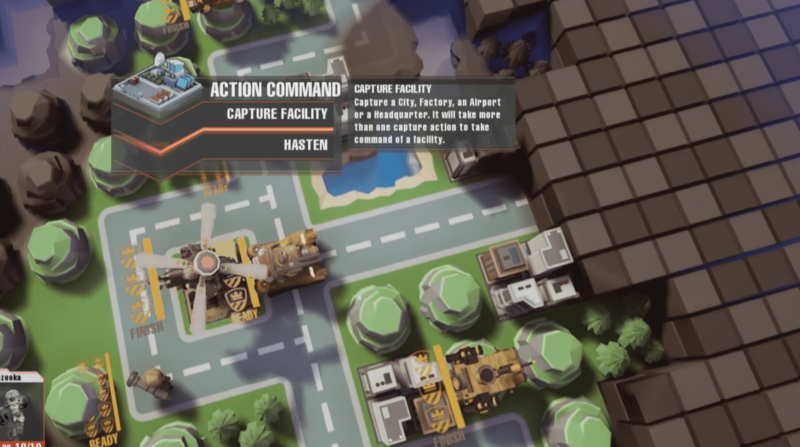 The game targets a general audience and experts in strategy games might be looking for a more challenging experience, but so far the game effectively takes back the philosophy of the Advance Wars series.